It’s no secret that brick and mortar stores are in some serious competition with e-commerce sites. Shoppers can now fulfill all of their needs with the click of a mouse. But where e-commerce companies compete on convenience, brick and mortar stores compete on something even more valuable — a tangible experience. Hosting an in-store event is a wonderful way to provide customers with an engaging, interactive experience they’ll be sure to remember and will keep them coming back for more. Not only can an in-store event increase foot traffic and sales within your store, it also has the power to strengthen relationships with members of your local community. If you find yourself nervous to plan for such events, wary of the actual ROI, set your fears aside. Read on to gather some great, cost-effective ideas for planning successful events. You’ll find that with a little creativity and collaboration, you can distinguish your shop as the life of the party. 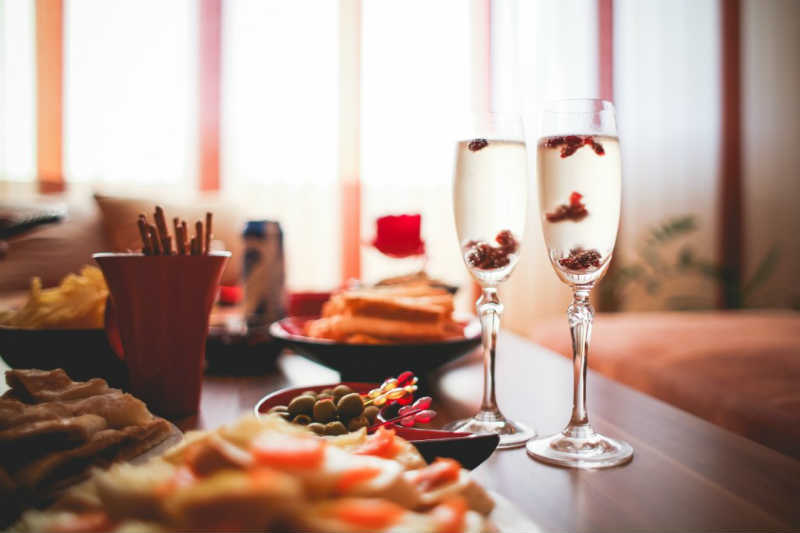 Reach out to local restaurants to see if they’d be interested in providing refreshments for a night of shopping and snacks at your store. In turn, they’re likely to offer special discounts in exchange for the exposure. To really attract a crowd, use Facebook’s Graph Search to determine your fans’ favorite restaurant. Once you’ve worked out the details with your foodie friend, send out an email invitation and let your customers know the store will be open late for an evening of complimentary bites, great deals and wonderful company. Promote the event on social media as well, and be sure to @tag the business providing refreshments. Everyone has intentions of starting a do-it-yourself project, but good intentions rarely result in a finished product. Provide some encouragement and host a DIY night in your shop. Search Pinterest for popular crafts and post a list of materials that your customers can bring in (or purchase at your store) so everyone can complete the project together. To add a little more fun to the evening, make it a BYOB event. Promote an in-store fashion show. Pick a date and ask attendees to model looks they’ve put together with merchandise in your store. Host a silent auction so the highest bidder can go home with his or her favorite look! Graph Search can come in handy here, too. Determine favorite local bands among your Facebook fans. Contact some of these bands to see if they’d be interested in performing at your store. Aspiring musicians are always looking for new opportunities to play at very little cost. Set up a stage in your shop and promote the concert on social media. During the concert, let band members model your merchandise. Who doesn’t love free sponsorship? Promote health and wellness! Partner with a local fitness instructor to lead a pilates or yoga class in your store. You could even establish your shop as the central meeting place for a Saturday morning run club. Offer discounts on fitness-inspired products you sell in the store and provide healthy post-workout snacks. Pretend you’re a gallery for a period of time and display works by a local artist. Plan an opening party for the community and promote the event on social media. The artist will love the public space to showcase the work, and you’ll increase foot traffic within the store as a result (and get some awesome decorations). You may want to consider negotiating a commission rate for any piece that sells while displayed in your store. Plan to pledge a percentage of a day’s revenue to a charity. Crowdsource through social media to see what charity your customers would be most excited to support. Decorate the store in the color associated with that particular charity, or create a display of products that share the charity’s color. The possibilities are endless! Establishing in-store events as a regular part of your store’s repertoire is essential to differentiating your business from an e-commerce offering and to fostering a loyal customer base within the community. These ideas are designed as a starting point to help you devise your next in-store function. If you ever need assistance with planning, promotion, or implementation, call one of the marketing consultants at SnapRetail. We’re always happy to help throw a party! Ready to get started marketing your first event? We can help you get the word out on email, social, and your website! Download Our Event Marketing Guide!